Michael speaks to a reporter about the reasons behind his plea. Later, Kathleen's sister delivers a statement of defiance in court. Their faith in the justice system forever shaken, Michael and his family discuss what they can hope to achieve by continuing the fight. Following two and a half years of house arrest, Michael must decide whether to push for a plea or risk his freedom with a new trial. 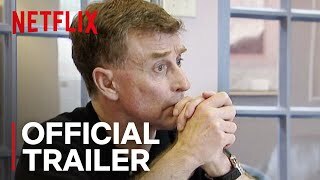 Currently you are able to watch "The Staircase" streaming on Netflix.